It’s the time of year for pumpkins and fall foliage, and maybe a few spooky spirits, as well! Autumn is a great time to visit Milan, and stay with us at Angel Welcome Bed and Breakfast! Here are a few fun events going on near the inn! Cruisin on the Square in MilanRight here in Milan, on October 16th, 23rd and 30th – head down to the village square to see up to 150 classic cars with a Farmers Market, music and door prizes. If scary stuff is what you crave, drive 22 short minutes to Vermilion’s Historic Old Schoolhouse for an interactive haunted experience. This all-volunteer event is open every Friday and Saturday in October from 7-11pm. Cost to enter is $5 per person. Apple Peak at Quarry Hill Orchards in Berlin HeightsVisit a real orchard for a “true taste of Autmn” on October 20th-21st from 10am-6pm. There will be wagon rides, music, hiking, local food and drink, vendors, storytellers, and much more! Don’t forget to pick some apples to bring home! 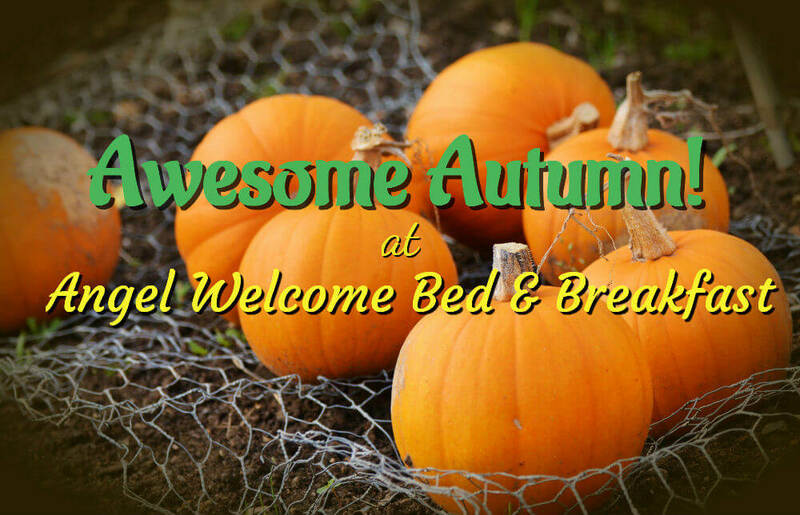 There are so many fun things to do around Autumn in this area! Visit us for a great home base for your adventures! This entry was posted in Attractions, Fairs and Festivals, Milan Events, Ohio Events by admin. Bookmark the permalink.